"You have your agency, and inspiration does not—perhaps cannot—flow unless you ask for it, or someone asks for you. 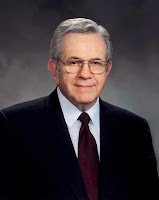 "No message in scripture is repeated more often than the invitation, even the command, to pray—to ask. 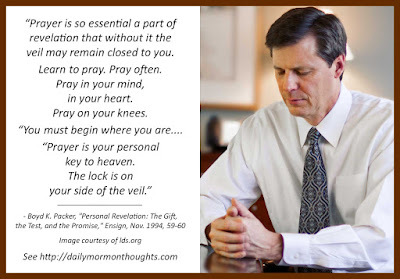 "Prayer is so essential a part of revelation that without it the veil may remain closed to you. Learn to pray. Pray often. Pray in your mind, in your heart. Pray on your knees. "You must begin where you are. Pray, even if you are like the prophet Alma when he was young and wayward, or if you are like Amulek, of the closed mind, who 'knew concerning these things, yet... would not know' (Alma 10:6). "Prayer is your personal key to heaven. 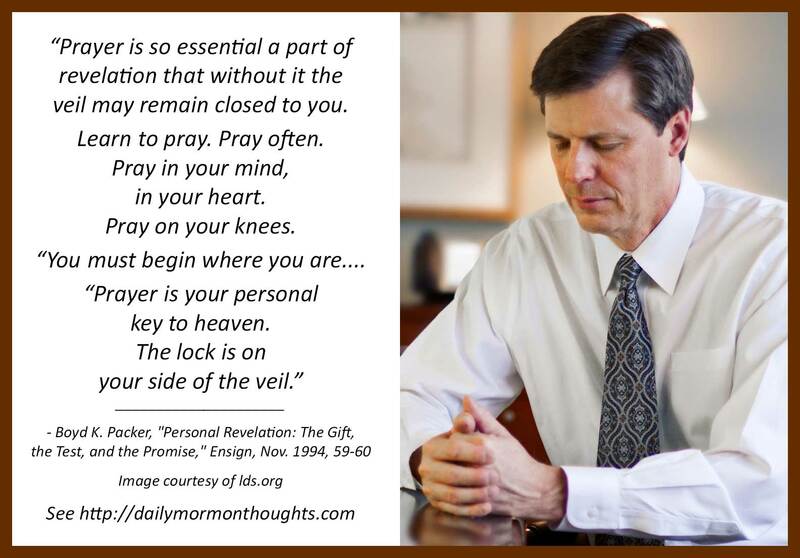 The lock is on your side of the veil (see Rev. 3:20)." 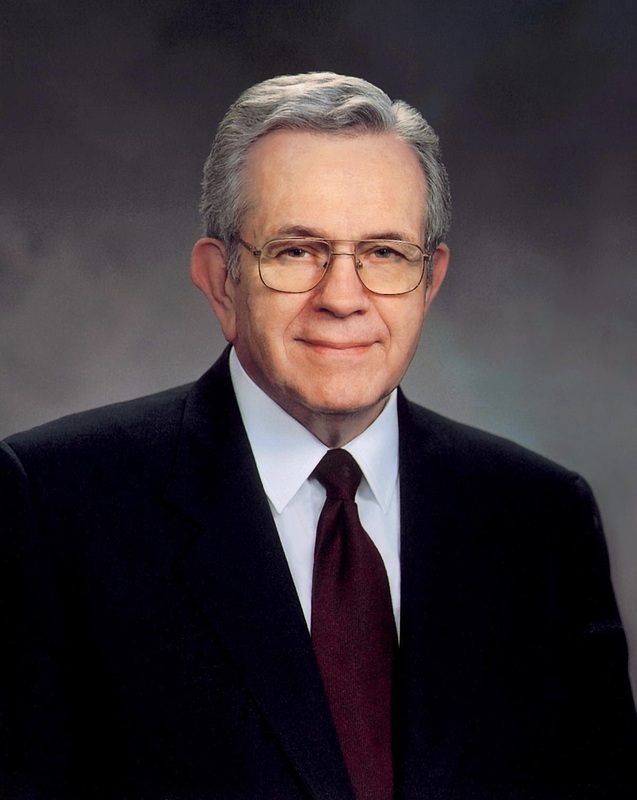 President Packer identifies one of the key blessings that comes when we exercise our agency and heed the invitation to pray: the inspiration and revelation that will begin to flow. And so it becomes critical that we learn to pray often and in every setting and opportunity. Nevertheless, I did harden my heart, for I was called many times and I would not hear; therefore I knew concerning these things, yet I would not know; therefore I went on rebelling against God, in the wickedness of my heart.... (Alma 10:6). The heart that knows, but stubbornly refuses to act, is one that desperately needs to be softened and changed. If we are not unlocking the precious door of heaven with our prayers, frequently and consistently, we are invited to repent and begin to claim the greater blessings that are ours.